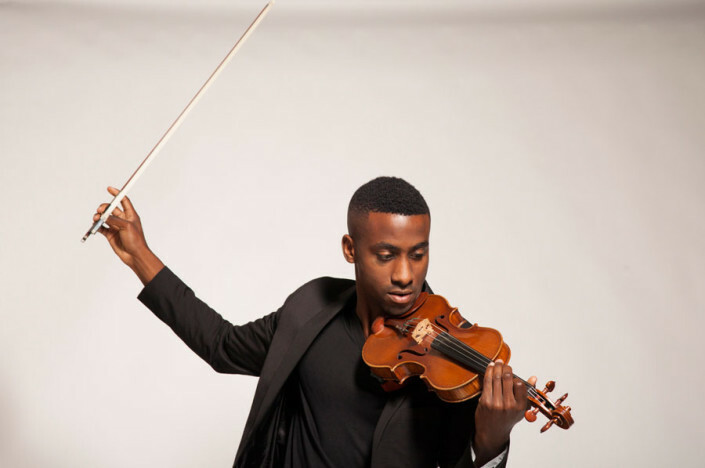 Kai Kight is an innovative violinist, composer, and entrepreneur based out of Los Angeles. A recent graduate of Stanford University’s innovation and design program, the d. School, Kai performs and speaks for organizations across the world, using his original music as a metaphor to inspire creativity in a multitude of industries. Kai has artistically and strategically elevated his music into the realm of thought leadership, and has used the violin to influence people ranging from college students to Fortune 500 executives. Less than a year after his own graduation, Kai already has expanded internationally with clients in 5 different countries including Mexico, Germany, and Amsterdam. 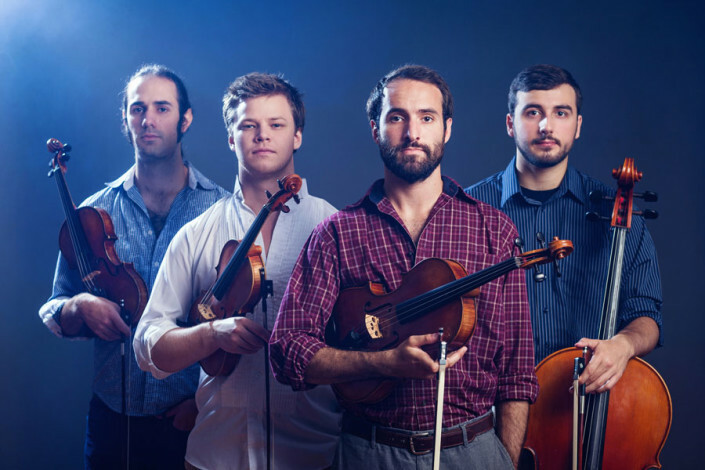 Invoke presents original tunes for multi-instrumental string quartet - written by and for the group - including works from their debut recording “Souls in the Mud”, and upcoming release “Furious Creek”. Presented by violinist & entrepreneur Kai Kight. As a classical violinist turned innovative composer, Kai Kight uses music as a metaphor to inspire individuals and organizations across the world to compose paths of imagination and fulfillment. A product of Stanford University’s design and engineering program, the d. School, Kai remains fascinated by the leaders, artists, and companies who dare to be different. As both a Mayfield Fellow and Kleiner Perkins Design Fellow, Kai has proven himself as a leader of the next generation of innovative and entrepreneurial talent. His mesmerizing and original violin performance beautifully becomes a sonic metaphor for the core of his message: to inspire people to compose unique ideas in a world that celebrates conformity. He joins forces with cellist Patrick Belaga in an evening of original works with a taste for improvisations. Mar 25th - 7:00pm Soprano-actress Annie Sherman brings together contemporary chamber music by New Yorker's own Christopher Cerrone and Weimar Cabaret by Kurt Weill in an evening exploring love in two pivotal generations. Hailed by the Los Angeles Times as perky sensational and finalist in the Kurt Weill Foundation's international Lotte Lenya Competition (2015), Annie employs her cross-genre versatility and a knack for story-telling to bring to life Cerrone and Weill's characters as they grapple with identity and love in their own rapidly changing worlds. Featuring the National Sawdust premiere of Christopher Cerrone's I will learn to love a person (2013) with poetry by Tao Lin, Annie will be joined by Douglas Sumi on piano, Ian Rosenbaum on percussion, and Isabel Kim on clarinet.